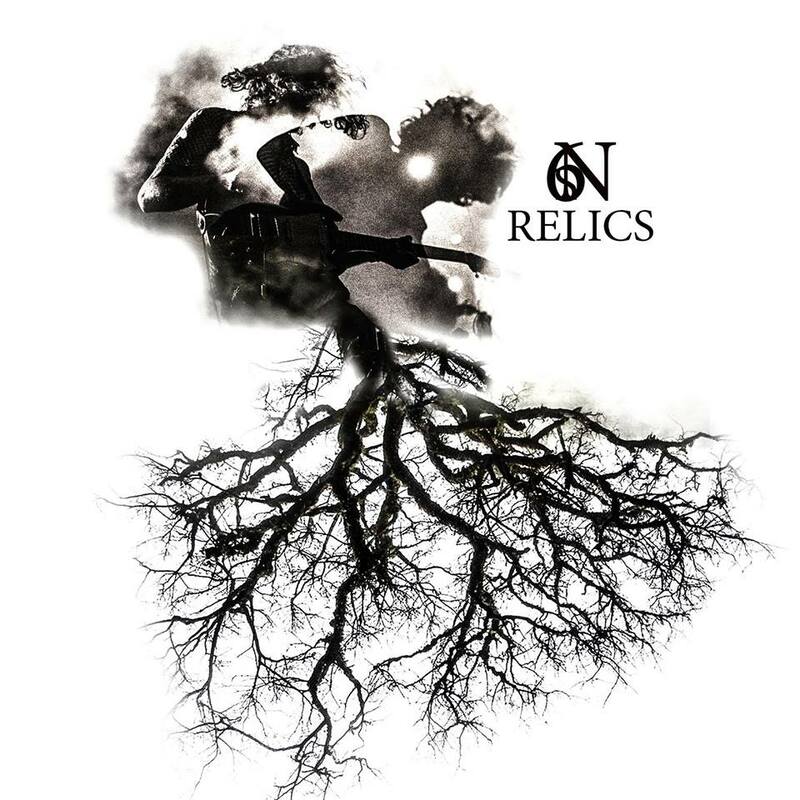 “Relics” is the fifth studio album in 9 years from SixStringNoise and follows acoustic EP “The Acou-Strings” which appeared in November 2017 with album prior to that was billed as the bands heaviest to date, entitled “Cold Damned Season”. Labelling themselves as a “Heavy Hard Rock andAlternative Metal band with Progressive elements influenced by the US Hard Rock Scene”, the Athens Greece natives have moved from being a solo project of vocalist and guitarist Markos to being an full band back again. As you might expect from a solo project, the entire album is written, recorded and produced by Markos himself with a pair of guests appearing on a couple of tracks. Deep with lyrical meaning and calling for change “How’s the World from up there?” is the kind of opening tune that brings the likes of Danish Hard Rockers Volbeat to mind. Markos shows off some fine guitar talent with an impressive solo and some solid hard rock riffs. Vocally there are the strains of dearly departed former Stone Temple Pilots and Velvet Revolver vocalist Scott Weiland. “True Colors” continues the flow with a decent hook and some catchy lyrics. Again the mid-section verse chorus bridge is lifted with a ripping solo that showcases Marko’s lead guitar skills while a buried speech sample adds something extra into the mix. Changing the game with an almost country vibe “Underdog” swaps the electric for an acoustic while maintaining the energy for a more wordy song that is again quite thought provoking. For the third time in this review, we’re going to mention the solo, which towards the back end of the track at nearly 6 minutes adds a tasteful electric flourish. Zakk Wylde would be proud. A driven affair about being dragged down by someone else’s misery “Toxiced Away” is an on point tune when it comes to Mental Health and will resonate with every listener. The failure of any relationship is tough, but when things turn toxic and get out of control, it’s time to get out. There is a change in the vocal delivery with a noise effect over the top in places while lead guitar work as a consistent second guitar throughout adds a bit more bite and edge. Showing a bit of Metallica influence during the intro before an acoustic guitar comes in “Crack A Smile” has all the hallmarks of a Classic Hard Rock song that you might here on Planet Rock Radio with little hints of Alternative Metal between the verse and choruses with nuanced flow breaks of guitar work that have a real charm to them. “What’s wrong with you?” features backing vocals from Ilias Leriou and starts with some guitar work that sounds like it’s being played under water. A faster vocal flow and a the first use of profanities in the lyrics about junkies sees more of the native ascent appear in the mix though overall the song has a far more commercial sound musically than some of the others. Perhaps a deliberate play on putting something different in the middle of the album, it’s something of a departure from the rest of the albums material. Returning to the sound of the prior songs “…and when I leave, I’ll fly” is a song about death. The Progressive element comes in the song length, which is as with most of the album is just short of the six minute mark with expansive instrumental bridges and building layering. The addition of buried synths and a closing demonic spoken word are perhaps the boldest of moves.